Following the launch of Google’s London data centre this month, all of the big-three global cloud providers – Microsoft, Amazon and Google – now have their own data centres in the UK. And all of them have opened in under the space of a year. It’s crystal clear that, even as the use of global public clouds grows, customers still care about where their cloud lives – especially those with regulatory reasons to keep their data on their home turf – and the big providers are rushing to ensure this demand is met. However, that’s not to say that smaller, national and regional cloud providers have had their day. Even if your latency and regulatory requirements can now be met with Amazon or Google, there are reasons it may be a better option to use a local UK cloud hosting provider – both now and for the foreseeable future. Here are three such reasons why using a local UK cloud hosting provider is better for your business. Colocation buyers have long understood that smaller, independent data centre providers tend to offer a higher quality, more personal service – and be more flexible on their contract terms – than the big global players. Cloud isn’t that much different – while there may not be as much face-to-face contact as you’d have with a colocation partner, you can expect a smaller cloud hosting provider to offer a more personal service. Support is a good example. With a smaller provider, there are likely to be fewer hurdles (read: switchboard and departmental navigation, multi-tiered support) between you and somebody that can help. You may even have direct access to senior technical staff who understand your business – knowledge and continuity that can provide a vital head start when dealing with complex problems and reducing their impact. It’s also worth doing your homework where the cost of support is concerned. Take a look at the pricing schedules for AWS and Google for example, and cost out what you’ll need to pay for the level of support you will require. Will you be satisfied with the documentation only (DIY) approach, or will you need phone support with engineers? While it’s a sweeping statement to suggest that every smaller provider will offer all support free of charge, it’s fair to say that the costs of trouble-shooting will often be less punitive (and in many cases, included as part of the deal). Partnering up with a local UK cloud hosting provider can mean greater visibility of the people who look after your infrastructure, and therefore greater peace of mind your infrastructure is in capable hands and not exposed to any unnecessary management and maintenance risks. We wrote back in April about the February AWS outage, which demonstrated how even the most sophisticated data centres can be susceptible to downtime as a result of human error. If downtime matters to your business – and we’re betting it does – it’s therefore important to be able to trust in your provider to keep the risk to a minimum. With a smaller cloud partner, you’re more likely to have direct access to senior technical staff to discuss your business’ requirements and get a feel for their level of expertise right off the bat. You may also be able to visit their data centre yourself to see in-person how the facility is designed, maintained and managed – and there’s nothing more transparent than that! For many cloud buyers, the location and connectivity options available from a particular data centre are some of the most important factors in their choice of partner. 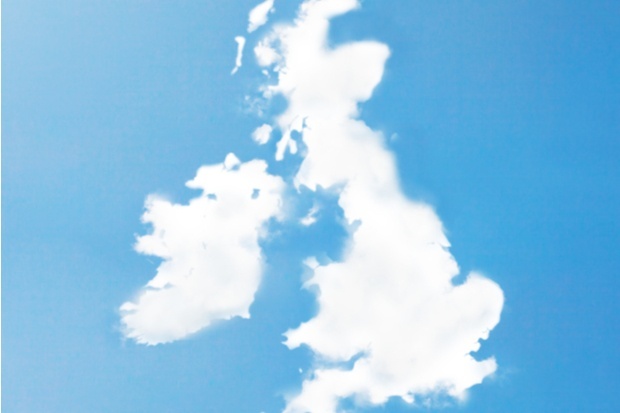 The ability to set up low-latency connections to other data centre locations, and access regional network providers and exchanges, is all-important – and not all UK regions are as well served by the big global players as by smaller providers. This can also be a key factor for buyers that want to build a hybrid IT environment, and need to ensure a high level of connectivity between their on-premises and off-premises infrastructure. Find out more by taking a free 30 day test-drive of cloud server hosting and see the benefits yourself.